AWARE is connected to and collaborates with a variety of organizations on our projects, events and initiatives. The list below gives some of the local and regional groups that we count as our friends. Click on the organization name to access their websites. Coast to Cascades Grizzly Bear Initiative – The Coast to Cascades Grizzly Bear Initiative seeks to protect and recover threatened grizzly bears and safeguard their habitat in southwest British Columbia through science-based planning and community involvement. Earthsave Whistler – We are here to help you learn how to make more environmentally-friendly, healthy and compassionate food choices and enjoy every minute of it. We bring you news, tips and events and also promote local companies who support this movement. Get Bear Smart – The Get Bear Smart Society’s goal is to minimize the number of bears killed as a result of human-caused problems. We accomplish this by helping the public prevent conflict at their homes, work and play; championing policymakers to create Bear Smart communities; and encouraging police and bear managers to choose non-lethal bear management practices. RMOW – Incorporated on September 6, 1975, the Resort Municipality of Whistler (RMOW) is Whistler’s municipal government led by an elected Council and administered by an executive team and staff on behalf of almost 10,000 permanent residents and 2.5 million annual visitors. Sea to Sky Clean Air Society – The Sea-to-Sky Clean Air Society (SSCAS) is a registered charitable Society with a mandate to protect air quality and support climate initiatives in the Howe Sound air-shed. Sea to Sky Invasive Species Council – A non-profit society that works in cooperation with organizations, First Nations, governments and industry on the south coast of British Columbia, Canada, in an effort to minimize the negative impacts caused by invasive species. Squamish Climate Action Network – Squamish CAN is a community action group that operates many environmental projects in Squamish, British Columbia, Canada. Squamish CAN strives to educate, support, and empower the community of Squamish by developing, promoting, and implementing sustainable strategies to mitigate climate change. Squamish Lil’wat Cultural Centre – The Squamish Nation and Lil’wat Nation have coexisted respectfully as neighbours since time immemorial… We have built the Squamish Lil’wat cultural centre (SLCC) to preserve our cultures and share them with others. Stewardship Pemberton Society – Stewardship Pemberton Society is a volunteer based not for profit charitable organization connecting community, nature and people. We encourage the protection, restoration, and long-term sustainability of the natural environment through education, cooperation, and community involvement. Whistler Biodiversity Project – A multi-year project to catalogue and help conserve Whistler’s native species. Wilderness Committee – The Wilderness Committee, founded in 1980, is a registered non-profit society with charitable status. With over 60,000 members, donors and volunteers, we are Canada’s largest membership-based, citizen-funded wilderness protection group. We are united in our mission to protect Canada’s biodiversity through strategic research and grassroots public education. 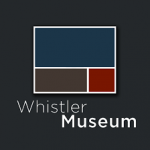 Whistler Museum – Florence Petersen started the Whistler Museum and Archives as a charitable non-profit society in 1986. Over twenty years later Whistler has grown beyond the early trail-blazers’ wildest dreams and the Museum is proud to continue to collect, preserve, and tell the stories of mountain life and the people who live it. Whistler Naturalists Society – A volunteer-based organization whose focus is to increase local knowledge of and appreciation for the natural world in the Whistler area. Send us your details and if suitable we’ll gladly add you to our resources page.